Finally, the first intel phone. For china. Earlier today we saw Lenovo's Intel's Medfield-powered Android 4.0 tablet hanging around on the show floor, but Intel's just announced that Lenovo's also got an Atom-powered phone: the 4.5-inch Lenovo K800, coming Q2 with Android 4.0 on a 720p screen. It'll run the company's new Atom Z2460 chip, and has HSPA+ support with Intel's XMM 6260. We're hearing it might have Intel's Wireless Display technology as well. 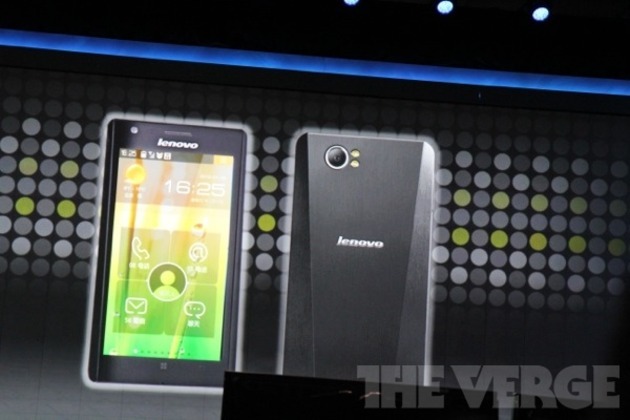 Lenovo plans to bring the Medfield phone to China during the first half of the year running Lenovo's LeOS skin. It will be the first x86 phone to be released, although there are no plans to bring it to other countries. Check out more Intel announcements in our live blog of the Intel press conference.